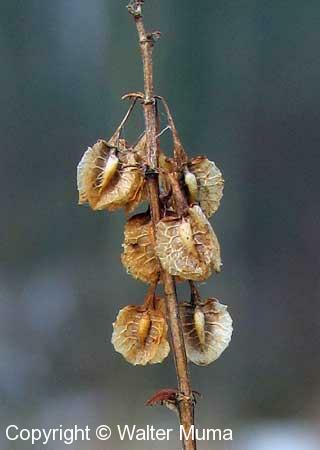 Distinctive features: Dock-like seeds, surrounded with a heart-shaped wing. Flowers: Summer; Green/Brown; Indistinguishable parts (petals); Green/brown. Leaves: Lower leaves 1-2 feet long. 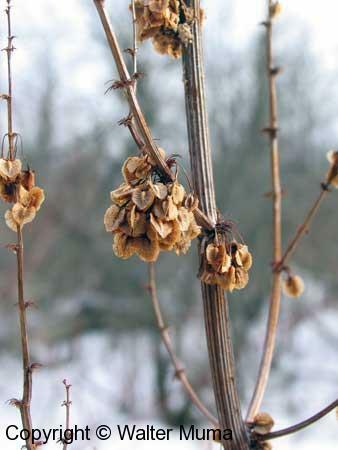 Fruit/Seeds: Seeds have heart-shaped wings. Habitat: Wet Areas; Swamps, marshes, wet meadows. Photographs: 23 photographs available, of which 4 are featured on this page. SCROLL DOWN FOR PHOTOGRAPHS. 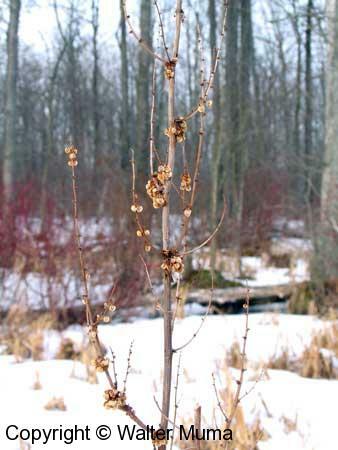 The overall form of this plant, in winter (February). The seeds. Note the distinguishing feature, the heart-shaped wings around the seeds. The seeds hang down in bunches.Note also the finely ridged stem. 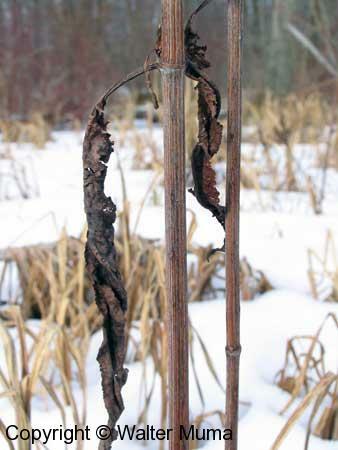 A dead lower leaf, in winter.